Summary: This is a modern interpretation of Samkhya as the philosophy of numbers that are inherent in Nature and the realities that manifest in the transformation of preexisting causes into mathematically predictable effects. It also presents how in future human beings may discover or decipher the mathematical basis of related processes, patterns, and equations to make sense of life and reduce the complexity and uncertainty about fate and future. In the history of the world, the Samkhya School was probably the first school of philosophy to propose a mathematical model of the universe in which Nature functioned as an automaton to manifest diversity and different realities. 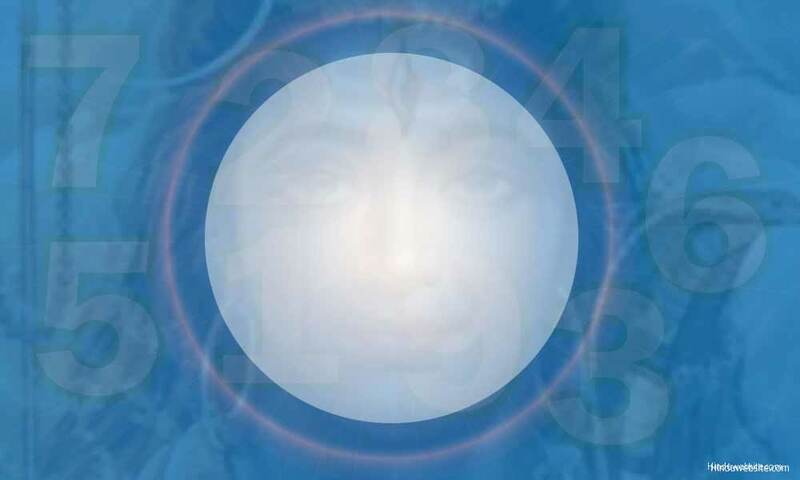 Samkhya means numbers, and the Samkhya philosophy is about the number of realities (tattvas) that are present in existence. It identifies the individual soul as a universal constant and Nature as a variable phenomenon with a number of causes and effects latently present in it. It also proposes that Nature produces nothing new. Whatever that needs to be manifested is already present in it as effects hidden in their causes. In other words, if you apply certain principles, factors, and conditions to the causes, they would produce predictable effects. There is no independent will at operation in this. No God principle is involved. There is no will of the individual Self, since it is a passive entity. The will of the individual beings is a mere effect produced by certain causes and conditions. Proponents of Samkhya identified several reusable realities or patterns of Nature (tattvas) as the building blocks of life, from which diversity would manifest. Their combinations and permutations would produce all the diversity that one could perceive in the world. The school thus acknowledged existence as a play of numbers (samkhya), rather than a conscious, intelligent process guided by an independent will. The same causes, conditions, and realities that function in the microcosm of the beings also function in the larger bodies and phenomena of the macrocosm. Based upon the causes, conditions and realities that are at work in the microcosm of a living entity, it would be possible to understand the truths of existence in the macrocosm. Thus, if human beings are guided by intelligence, it is possible that some form of higher intelligence (mahat) may carry out similar functions in the macrocosm as an aspect or reality of Nature. By controlling certain functions and organs of the human personality through spiritual practice (yoga), it would be possible to cultivate perfection (siddhi) and control the world within as well as without. Modern science is slowly coming to grips with the reality that the universe may be a mathematical model that operates according to certain mathematical principles, patterns, and equations. Currently, it may be presumptuous to think that every object and phenomena in the universe can be interpreted as mathematical objects, and the patterns, qualities, modes, geometric shapes, predictable outcomes, physical and chemical laws, biological and physiological processes, and divisions of time that are present in them can be reduced into their mathematical counterparts. However, as our knowledge grows such a possibility cannot be ruled out. What appears to be a random process in the life of an individual or in the existence of an object may also be actually a play of numbers, which we cannot yet fully understand. In this regard the following points are worth mentioning. The universe is a sum of realities produced by identifiable and preexisting causes in which complex mathematics may be at play. All possibilities exist in the universe as effects hidden in their causes. Things may be unique, but the causes that produce them may yield different results at different times in different circumstances. The so called fate is the sum of probabilities which are shaped by numerous causes, conditions, states, actions, and energies. In future it may be possible to predict patterns and outcomes by understanding the mathematical principles that are at work in the transformation of causes into effects. Each outcome is a mathematical possibility, until it becomes a reality by the causes and conditions that precipitate it. Manifestation is a transformative process in which causes become effects, and things emerge from their prior states and conditions as a consequence. If the mathematical model of the universe is true, as suggested by the Samkhya philosophers, every possibility is already inherent in the cause, and predictable. For example, if you have been given a hundred dollars and asked to spend it, Nature may predispose you to spend it in certain ways according to the factors, and circumstances which influence your behavior and thinking. Today we are not able to weigh all those factors and find their mathematical equivalents to calculate possible outcomes, but someday we may. What is unpredictable or uncertain is how we are motivated or influenced in our choices. It future, we may be able to reduce them also into mathematical equations and chart the course of each person's life based upon them. We already use this mechanism in science to propose a hypothesis to validate scientific truths. In life we use it to make intelligent guesses and forecasts about future outcome of our current plans and actions. Our intuition also works on the same principle. However, we do not yet know how the mind uses mathematical models to manifest intuition. Your birth is a transformative process. So is every aspect and every event of your life. You may consider them random processes because you cannot discern the underlying patterns and hidden causes, but they are primarily transformative processes in which causes becomes effects, and existing states, conditions, and circumstances undergo transformation to precipitate consequential reality. We are subject to impermanence and duality because causes and effects are constantly at work. Even consciousness undergoes numerous modification due to the same mechanism. The same holds true for metaphysical phenomena such as reincarnation and rebirth. For example, karma is an effect which arises from numerous causes such as desire-ridden actions, attachments, egoism, and delusion. By quantifying them and reducing them into numerical patterns and equations, someday it may be possible to know the consequences of human actions and how one can avoid them. Using the same approach, one can calculate the possible outcomes of rebirth, or calculate inversely to know prior lives and causes that produce the current life. The Vedic seers perceived the possibility that Nature relied upon repeatable patterns to manifest reality both in the microcosm of the beings and macrocosm of the world. They concluded that the universe and the human body operated according to the same set of principles, processes, and planes of existence. Hence, using the human personality as the basis they worked out the structure of the universe and how gross and subtle worlds might exist in it. Using the same analogy, they speculated upon the nature and aspects of God, and how he might have created the worlds and beings. Today, many people do not believe that there can be heaven or subtle worlds. However, logically one cannot rule out their possibility, because they do exist in you. You cannot objectively prove their existence to others, but others can draw inference based upon the experience of their inner subtle worlds. If the mind can exist in the body, logically one cannot rule out the possible existence of an identical entity or world in the macrocosm. Today we cannot establish their mathematical basis, or the processes and patterns that are at work. However, it does not mean that life will remain an enigma forever.